The attorney general is really burnishing those drug warrior credentials. Attorney General Jeff Sessions said on Monday that the Dept. of Justice will seek to increase the use of asset forfeiture by state and local police forces. Asset forfeiture is a practice in which police seize cash and property. It has come under sustained criticism in recent years, with critics arguing that it amounts to policing for profit , and state legislatures around the country have moved to rein it in. But Attorney General Sessions is headed in the opposite direction. 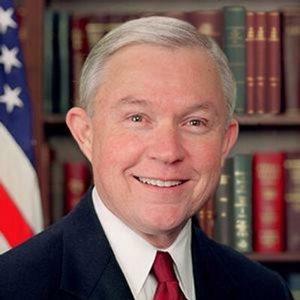 Sessions said in prepared remarks  for the National District Attorney's Association meeting, "We hope to issue this week a new directive on asset forfeiture -- especially for drug traffickers. With care and professionalism, we plan to develop policies to increase forfeitures. No criminal should be allowed to keep the proceeds of their crime." But it's not just criminals who fall victim to asset forfeiture. Federal law and many states allow the seizure of cash or property without convicting or even charging someone with a crime, a procedure known as civil asset forfeiture. And some fairly significant chunks of money can be involved: As The Washington Post  noted, the Justice Department's Inspector General has found that.since 2007, the DEA alone has seized more than $3 billion in cash , in cases in which the owners were never charged with crimes. While many states  allow police to keep the cash they seize, others have enacted legislation directing that forfeiture funds go to the general fund or some other specified fund, depriving law enforcement of a revenue stream to which it had become accustomed. Police in such states evade such laws by turning over seizures to federal law enforcement, which then returns 80% of it to the local law enforcement agencies. The feds and the cops get their money; other state purposes that would have benefited do not. It's called the Equitable Sharing Program, and that's the "adoptive forfeiture" Sessions referenced in his speech. He was making clear that he intends to undo a 2015 Justice Department memo  authorized by then-Attorney General Eric Holder curtailing the practice. "Adoptive forfeitures are appropriate," Sessions emphasized, "as is sharing with our partners." That isn't sitting too well with Robert Everett Johnson, an attorney for the Institute for Justice , a DC-based nonprofit that describes itself as "the Law Firm for Liberty." "This is a federalism issue," Johnson told the Post . "Any return to federal adoptive forfeitures would circumvent limitations on civil forfeiture that are imposed by state legislatures… the Department of Justice is saying 'we're going to help state and local law enforcement to get around those reforms.'" The move is also drawing criticism from at least one Capitol Hill arch-conservative, Senator Mike Lee (R-UT). In a statement Monday, he told Reason  he had serious concerns with a return to aggressive federal asset forfeiture, and he cited Supreme Court Justice Clarence Thomas's remarkable dissent  in an asset forfeiture case before the court last month. "As Justice Thomas has previously said, there are serious constitutional concerns regarding modern civil asset forfeiture practices," Lee said. "The Department has an obligation to consider due process constraints in crafting its civil asset forfeiture policies." But Attorney General Sessions gave no indication he's going to be slowed down by such considerations. Between his embrace of asset forfeiture, his threatening comments about legal marijuana, and his call for a return to harsh federal drug sentencing practices, Sessions is turning out to be just as bad as reformers thought he would be.